I’ve written a lot on this blog about Range.SpecialCells() and how careful you have to be when using it. Here’s yet another caveat which I didn’t know about until another developer brought it to my attention. If you run TestSpecialCells1() you’ll find that, provided a blank cell was found, the Worksheet_SelectionChange() event is raised – which is immensely annoying. 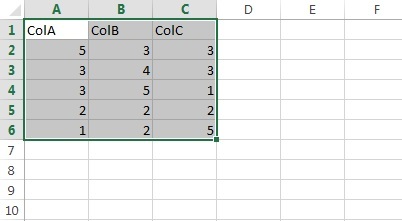 The code clearly doesn’t select any cells so why should that event get raised? The answer is that the code behind Range.SpecialCells() is shoddy. Range.SpecialCells(xlCellTypeLastCell) causes the Worksheet_SelectionChange() event to be raised twice! Why? Once to find the last row and once to find the last column so that it can then intersect them to get the last cell. Until Microsoft fixes this event issue (and I seriously doubt it ever will), the workaround is to set Application.EnableEvents to False before using it and setting it back to True again after using it. Proper error handling needs to be in place to ensure Application.EnableEvents is reset correctly because a whole host of situations can cause these calls to throw a runtime error. A user recently handed me a spreadsheet and asked me to investigate some bizarre behaviour. For some people the spreadsheet’s calculation was fast, for others quite slow and, for a few, extremely slow. After a bit of playing around I found what the problem was and, since I couldn’t find it documented anywhere, I thought it would be worth a quick blog post. The workbook in question had many sheets and a lot of those sheets had several thousand INDIRECT() formulas. The workbook had been structured with INDIRECT() formulas so the users could easily redirect ‘lookup’ formulas to pull data from different sheets as and when they needed to. This sort of design isn’t uncommon. The workbook was really slow to calculate (1 minute) on my machine. There were no array formulas or complex calculations anywhere and there were very few downstream dependencies on the INDIRECT()formulas. However, I found that, if I deleted one particular sheet, the workbook calculations suddenly became ‘instantaneous’ (2 seconds). When I noticed that the INDIRECT() formulas on that sheet were all returning #REF! errors things began to make sense. Let’s take a step back and think about what INDIRECT() does. It takes a string (or a cell containing a string), resolves what that string represents and then returns a reference to the corresponding range. The string may be an A1 or R1C1 style reference or the name of a named range. INDIRECT() has to go through a number of steps to determine what the reference may be; if it can’t find a match then it returns a #REF! error. It’s a logical conclusion that the function will start with a local scope and then broaden its search through other open workbooks and add-ins to try to find a match if it needs to. If you have an invalid string reference, INDIRECT() is going to go through every possibility it can to try to find a corresponding range before it finally spits back an #REF! error: it is doing more work which means it will be slower. This can also cause some pretty insidious behaviour: the speed of the #REF! INDIRECT() function will be affected by the number of workbooks and add-ins you have open and how many sheets and names they have. 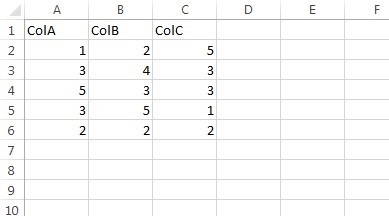 If you test the workbook in a “light” Excel instance it could recalculate quite quickly but for someone else with a “heavy” session it could be painfully slow. This behaviour is compounded by the fact that INDIRECT() is volatile which means it recalculates on every calculation event. In extreme cases where lots of #REF! INDIRECT() formulas are involved it can quite literally cripple the spreadsheet. So, dear reader, manage your string references carefully and beware INDIRECT() formulas which return #REF! errors. KeyAscii isn’t used at a later point in the procedure. KeyAscii is passed ByVal, so the change won’t propogate back to the caller of the event handler (incorrect). However, he knew from testing that, if he removed that line of code, the restricted entry was no longer enforced. The code clearly works – but how? 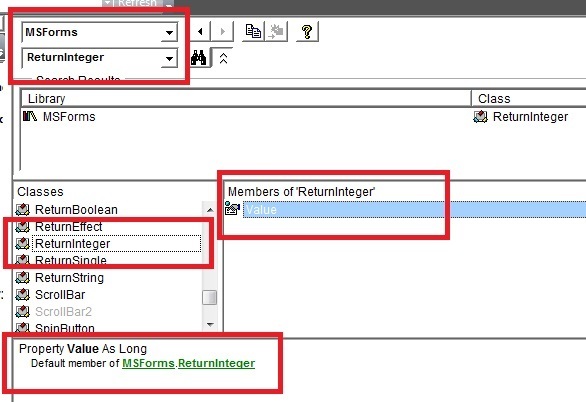 The most important point to this answer is that MSForms.ReturnInteger is not a literal: it looks like an Integer because it has Integer in the name – but it isn’t one. If you look in the object browser you’ll see that it is a class and it has a default Value property. So now we have the answer: KeyAscii = 0 works because KeyAscii is an object and this sets the KeyAscii.Value property to 0. Although the KeyAscii object is passed ByVal, changes we make to its properties will have an impact on any code further up the call stack which references the same object. Note To write code that is compatible with both 32-bit and 64-bit versions of Windows, use GetWindowLongPtr. 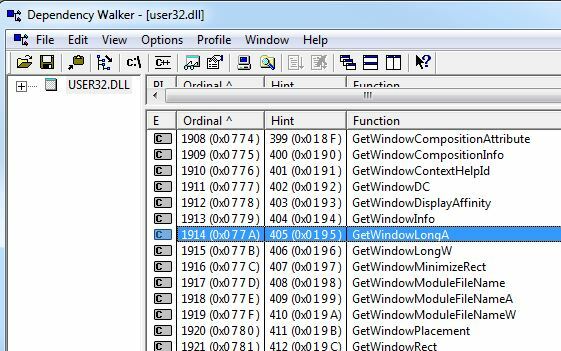 When compiling for 32-bit Windows, GetWindowLongPtr is defined as a call to the GetWindowLong function. The Microsoft Forms 2.0 Object Library (FM20.dll) really lacks a number of controls. One which I seem to miss the most often is a “grid” control which will let users select rows and edit data in multiple columns. For this sort of functionality I normally use a ListView control which comes as part of the Windows Common Controls (MSCOMCTL.OCX). It takes some VBA plumbing to get it to work but does the job in a clunky sort of way. The problem with the Windows Common Controls OLE Control Extension is that it’s only available as a 32-bit binary. You quite simply cannot use it in 64-bit Excel – and 64-bit Excel is becoming an ever-increasing consideration for my clients. If you search around sites such as TechNet you’ll find that Microsoft helpfully suggests that, for 64-bit Office, you either obtain 64-bit compatible versions of ActiveX controls or create your own. Since Microsoft does not provide a 64-bit version of its ListView, I decided I would make my own grid control – not from scratch, but rather using TextBoxes and Labels in a Frame to create a grid effect. There’s nothing super clever here: code to manage groups of dynamic controls, wrapped up in an add-in with some simple methods and properties to make it easy to use. If I could give some of the TextBoxes in my grid the appearance of a ComboBox then that would be pretty handy because it would be a very simple change to my add-in. 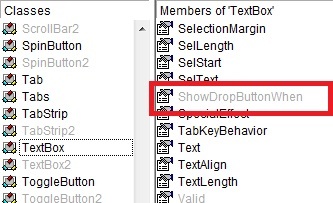 The DropButtonStyle and ShowDropButtonWhen properties can’t be configured in the Properties Window so you have to set them at runtime. Not a problem for me because my TextBoxes are all created at runtime anyway. 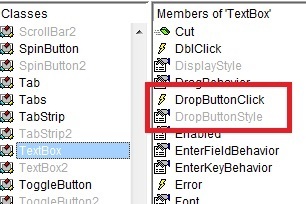 When the DropButton is clicked and the DropButtonClick() event is raised you don’t get a nice dropdown pane supplied for you, so you have to create your own. That isn’t hard to do. 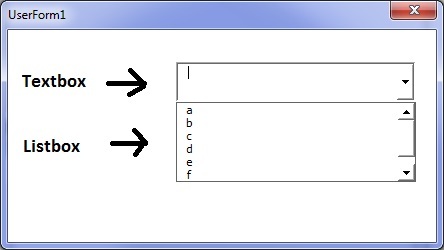 For a simple example, create a UserForm and add a TextBox called TextBox1 to it. Then add the following code to the userform’s module and run it. Sure, the ComboBox doesn’t have as many text formatting properties as the TextBox, but I’ll worry about that if I ever need them. For now, I’d much rather keep things simple. This error had nothing to do with the spreadsheet I’d built for him: obviously he hadn’t tried to reach the project references menu for a little while. When you try to pull up the project references, Excel goes off and reads a bunch of keys from the registry and this error occurs when the you don’t have permission to read one or more of those keys. But how do you figure out which keys are causing the problem? 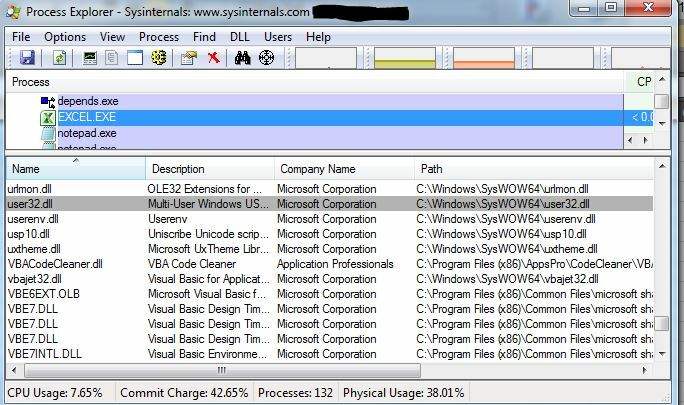 The answer is to run Process Monitor (which must be run under an admin account) because it will show you every key which Excel tries to read and whether it did so successfully. ProcMon has saved my bacon several times over the years so it’s worth a look if you haven’t come across it before. A quick Google search on that key reveals it pertains to a Flash Player update which has affected a number of people. 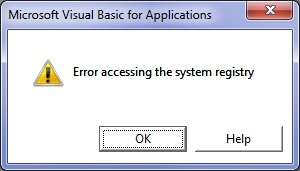 The VBA IDE error message will go away once the admin uses the Registry Editor to grant the user read access to the access denied keys listed by Process Monitor. Next I decide to make a couple of small modifications because I want to sort by three columns instead of one. Being a copy and paste cowboy, I copy the code which adds the SortField and update it so it applies to the 2nd and 3rd columns. When I return to my desk and open the workbook what do I get? A faceful of error messages. 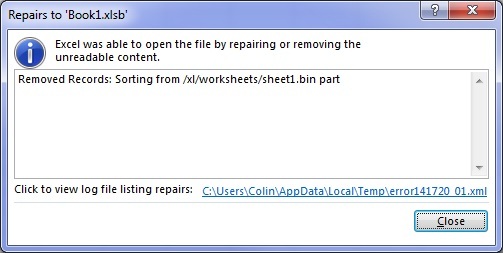 Thanks Excel. So what was my mistake here? Well, actually there were two. Firstly, the bit of code which caused the XML error is the duplicate SortField with Key range B2:B6. I didn’t edit it properly when I copied and pasted it. Secondly, I didn’t test it properly: I should’ve tried it out on sample data where the third SortField would’ve come into visual effect.